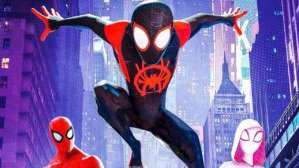 -Junior Reporter Celeste M. was rooting for Isle of Dogs to win Best Animated Feature, while Junior Reporter Katie M. was rooting for Spider-Man: Into the Spider-Verse. So which movie took home an Oscar? The Oscar went to … drum roll, please … Spider-Man: Into the Spider-Verse! -Lady Gaga’s song Shallow won for Best Original Song. She’s won several Grammy awards before and now adds an Oscar to her growing trophy case. With this win, she’s one step closer to becoming a member of the EGOT club—that’s someone who has won an Emmy, Grammy, Oscar, and Tony—four of the most prestigious American awards in the performing arts. 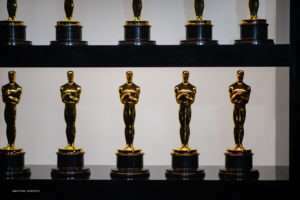 -For the first time ever, there was no host for the Oscars. Why? The Academy of Motion Picture Arts and Science (the folks behind the awards) wanted to keep the show to … eh hem … a short three hours. -Ruth E. Carter, costume designer, and Hannah Beachler, production designer, became the first African American women to win for the movie Black Panther in each of their respective categories. After winning for Best Supporting Actor in his role as Don Shirley in the movie Green Book, Mahershala Ali became the second African American actor (Denzel Washington was the first) to win multiple Oscars. Mr. Ali also won for Best Supporting Actor in 2017 for his role in the movie Moonlight.